Of our ten luxury cottages, only 3 have three bedrooms. Seaview Cottage is one of these, and sleeps up to 6 people comfortably. Sleeping accommodation is comprised of 2 Superking/Twin bedrooms, and one Double bedroom. Seaview Cottage has a large kitchen-diner with plenty of space to prepare meals, and a luxurious separate sitting room with two leather sofas, large flat-screen TV and Blu-ray DVD player. 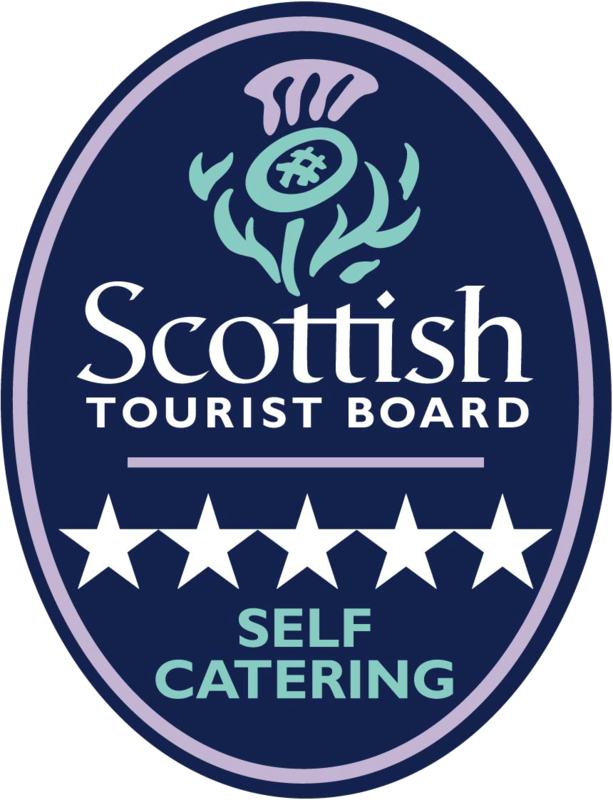 Built on the footprint of the old walled garden which formed the westerly end of the courtyard at Mountgerald, Seaview Cottage is amongst the largest of our ten cottages. With three bedrooms, it is perfect for groups of up to 6 people. 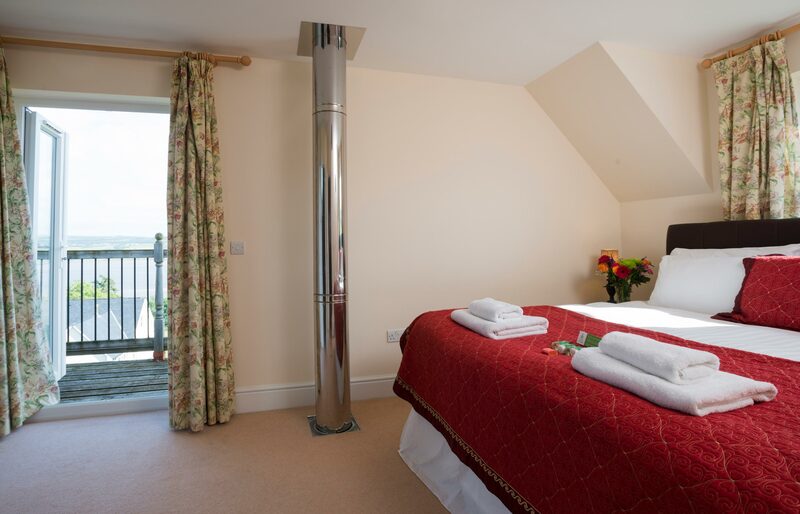 Like all our cottages, it features luxurious underfloor heating, giving you 24-hour comfort. There is an en-suite bathroom in the Master bedroom, as well as a family bathroom, and a family shower room. Great for a quick get-away in the morning! We’re delighted to host many guests on active, often outdoorsy holidays, we wanted to make sure all our cottages have a washing machine, so your walking or cycling gear can get cleaned during your stay with us. 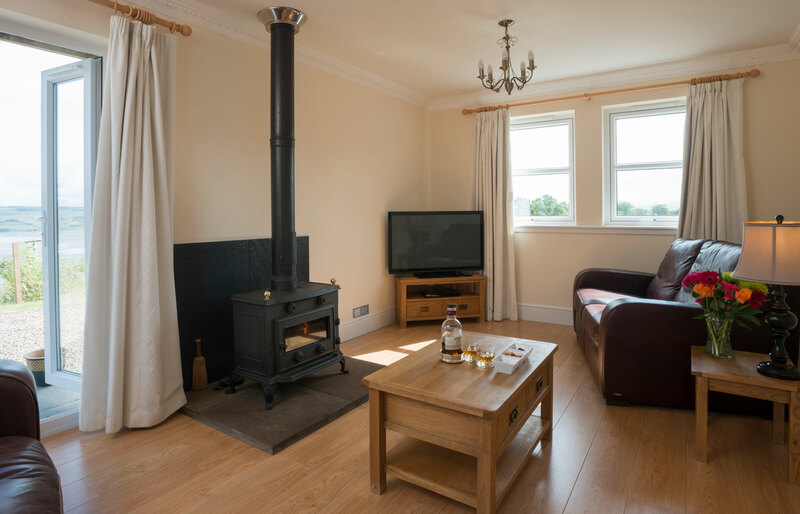 You’re sure to enjoy relaxing in Seaview Cottage with its cosy, wood-burning stove in the separate sitting room. The sitting room is equipped with two leather sofas, a 42-inch flat-screen TV and Blu-ray DVD player. Like all our cottages, Seaview Cottage has complimentary, fast Wi-Fi internet connection. From the Master Bedroom balcony, Seaview Cottage has a wonderful view across the Cromarty Firth to the Black Isle countryside. There is parking for two cars, and a wheelchair-accessible ramp.